Nature's Way standardized Turmeric is a technically advanced herbal extract standardized to 95% curcuminoids. This is the highest concentration of curcuminoids available. 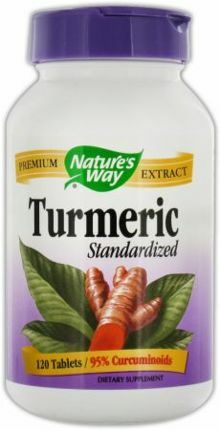 Turmeric has become a popular herbal supplement due to it's antioxidant properties of it's active constituent curcuminoids. * It is also a popular spice used in curry dishes.